We were so pleased to read an amazing review of GJ’s work by Robert Amos in this morning’s Time Colonist. Heading into our second full week of the show at Dales Gallery. We shot lots of video yesterday and hope to have a few new films on GJ’s YouTube channel next week. 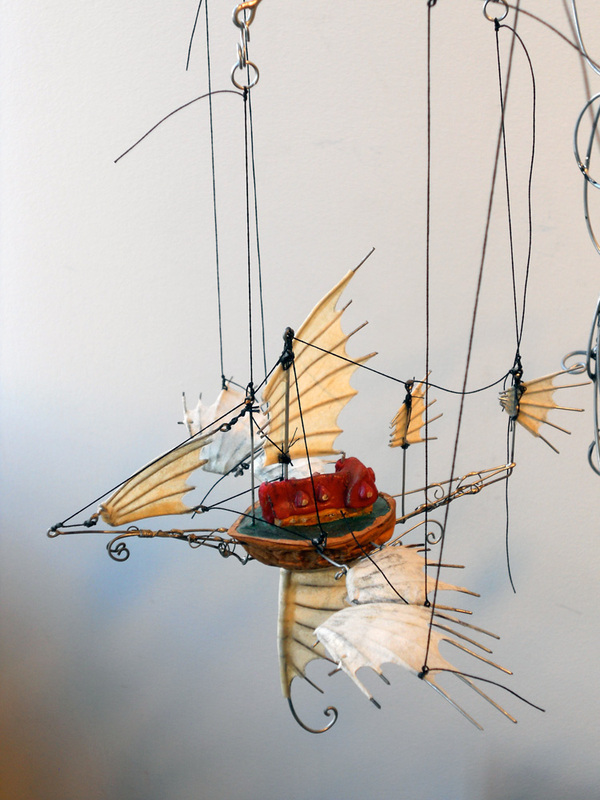 Tiny Flying Ship detail, hand-cranked kinetic sculpture by GJ Pearson. 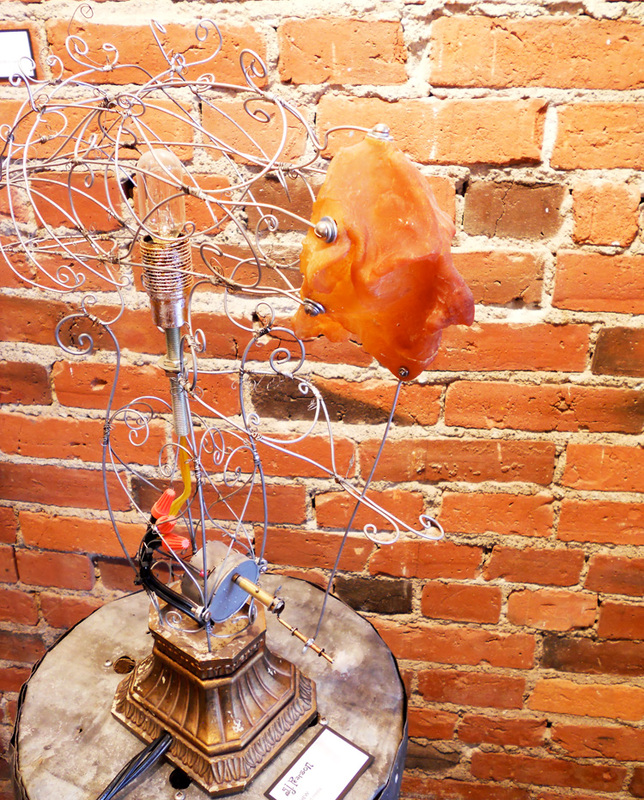 Chew, kinetic sculpture by GJ Pearson. 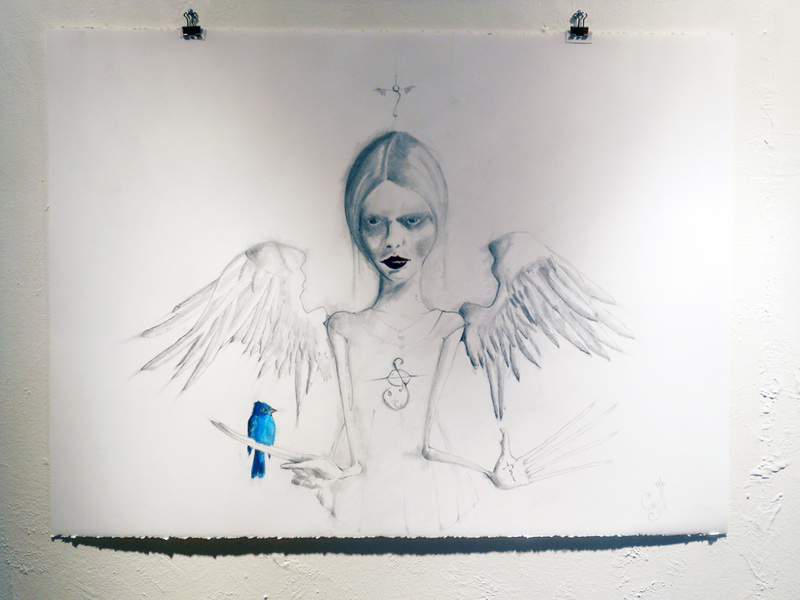 Bluebird of Happiness on the wall at Dales Gallery.